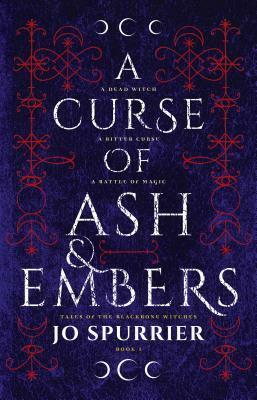 A Curse of Ash & Embers is a fun fairytale/fantasy read. The story has a familiar feel, but also maintains an air of originality. The pacing is good, and there is plenty of action. Meanwhile, Elodie is a well-crafted and interesting character with whom I felt an immediate connection. Two of the things I like most about this work are the slightly darker storyline and the fact that romance, though loosely present, doesn't become the principal focus of the piece. For me this is a solid 4.5 stars, and I recommend it to YA fantasy fans looking for something a little different that will take them away from the standard tropes while still feeling like a familiar friend. I am certainly keen to read on in the series and find out what will happen to Elodie and Aleida next.